From Thomas Edison to Alessandro Volta…from Pythagoras to Plato… from Galileo to Benjamin Franklin, our technological timeline has advanced from caveman idiosyncrasies to man’s missions on Mars in a infinitesimal amount of time. This is thanks to visionaries and forward-thinkers who utilize unconventional, cutting edge notions and progressive concepts. Where would we all be, if we fell complacent and contented, for what is known as the status quo, instead of constantly questioning what was still to be? Our fast-paced industrial world grows at the rate that it does, because of dreamers and futurists, inventors and thinkers. People who not only think outside of the box, but who think outside of the outside box. Vinnie Rossi is a modern-day version of these exemplary individuals. People who do not genuinely know him think that he is just a nice-guy audio component engineer. That would be like thinking that Ben Franklin was just a kite salesman who liked to frolic in the rain. Those of us that do sincerely know him, know that Vinnie is much more than that. He is an astounding visionary…a creative, imaginative, artistic young man who strives relentlessly to come up with efficient, alternative ways of doing things. He tirelessly seeks out answers to solve the inherent problems that regularly arise from trying to deliver reliable power to feed power-hungry audio amplifiers and their associated components. Vinnie Rossi means “Red Wine” in Italian, hence the inspiration for his first company’s original nomenclature “Red Wine Audio (RWA)”. The product that I am reviewing for you today, is part of his new self-titled brand “Vinnie Rossi”, and is named “LIO”. LIO is a combination of the beginning letters of the three most important women in his life, his two daughters Liliana and Isabella, and the woman/wife of his dreams, Oiwah. Mr. Rossi and Oiwah have been married for over a year, but have also known each since college. Oiwah, who is known to us as Alexis, grew up and went to school in the U.S. since she was young and can always be found as the inspiration behind Vinnie’s working genius. I have seen Alexis lovingly by Vinnie’s side at every audio meet that RWA has exhibited his wares at for at least the last 5 years, initially starting in his business as his saving grace, taking over the overwhelming responsibilities of RWA’s book keeping, shipping, office manager, customer service, etc. This gave Vinnie the opportunity to free up and concentrate solely on the innovations and builds, which has made him what it is famous for today. The new Vinnie Rossi logo is partially derived from the schematic symbol for a capacitor, surrounded by a Superman-esque shield that relates to a powerful, super or “ultra” capacitor. Red Wine Audio has been around, selling innovative products for approximately 10 years now. Vinnie’s earliest and even his most current designs have always been based on his earliest visions of desiring to power his audio components “off the grid”. Meaning: independence from the dirty, corrupted AC voltage that spews incoherently from within the walls of our homes. Common engineers often build audio amplifiers that suffer from AC degradation, which can also susceptible to RFI and EMI gremlins. Vinnie knew there had to be a better way. This corrupted current is the source of most of the deficiencies and delinquencies that cause our splendid musical presentations to be congested and inhibited. They have no genuine chance to be “all that they can be”. While most boys were just lying around as teenagers, dreaming of girls and cars, Vinnie must have been putting his precious time to good use, dreaming of girls, cars, and ways of improving inconsistencies surrounding voltage regulations and their ability to power audio equipment through reliable and perfectly regulated, high current DC power supplies. Mr. Rossi graduated college with a Bachelor’s Degree in Electrical Engineering. His first real engineering job, was working for Lucent Bell Labs. While working there, he started to experiment in his free time on DIY projects, to quench his thirst for knowledge and to nourish his insatiable, inquisitive mind. He studied amateur projects on do-it-yourself Internet forums such as AudioAsylum and diyAudio. In 2003, he started out by fine-tuning Toshiba branded DVD players, modifying its components, trying to eek the best sound out of them that he could obtain. He had good success and fellow forum members starting requesting that he “mod” their players, too. In 2004, he sprung some interest in the arrival of TriPath Class T-Amps. He started working his Vinnie magic, performing mods on its amp chip, swapping capacitors, testing various input options, and replacing common volume pots with more precise stepped attenuators. He started his first company in 2005, and named it Red Wine Audio. From there he began to make some professional products that he targeted to sell in the lucrative audio marketplace. He was a regular member of Head-Fi.org, Audiocircle.com and attended local NYC meets in his surrounding area. His main goal was to take his amps off of the power company’s “grid” and create and sell products that were battery powered and rechargeable, starting with his SLA battery powered Clari-T-Amp in 2005. Next on the scene was the Signature 30 in 2006, which evolved into the Signature 30.2. By 2010, the Signature 30.2 progressed into encompassing a tube stage input and LiFePO4 battery power, and was named the Signature 30.2 LFP-V Edition. I have owned on a Signature 30.2 since inception, and they still drive my Harbeth nearfield listening setup to this day. The supplied AC battery charger keeps the battery topped off while in standby mode, and when you want to do some critical dedicated listening, you simply flip a toggle to detach the charging circuit and just draw power from the battery. I receive 6-8 hours average on a charge with the battery on its own, before starting to feel the stress of rechargeable battery-induced, what Vinnie likes to call: “range anxiety”. Class AB MOSFET amplifier designs, which replaced T-Amps and included tube input stages, were the next progression under the RWA brand. In 2014, after nearly 10 years of designing components around his first RWA Signature line series, which later grew to include dac and headphone amp options, he grew tiresome of battling the nagging problems that plagued the rechargeable battery lifestyle. He went back to the drawing board, and Lo and Behold! Ladies and gentlemen…may I introduce to you to the “LIO” Dun-tada-dah! Battery? What’s a battery? We don’t need no stinkin’ batteries! For his LIO design, Vinnie had to design and create an all-new, revolutionary technology that he appropriately named “PURE DC-4-EVR”, patent-pending. His technology employs two separate ultracapacitor banks in place of conventional AC power or rechargeable batteries. His new technology utilizes Maxwell (not Maxell…I know, it’s confusing) Ultracapacitors (UCs) instead of rechargeable batteries, as in his earlier designs. UCs offer extremely low output impedance, and are able to deliver quick bursts of energy during peak power demands. This is ideal for charging the idle power bank that is not in use at that time, because UCs can be charged very quickly. While one bank is discharging and feeding the LIO’s audio circuitry, the other one is getting topped off. Each bank is isolated from the other. The UCs are capable of storing energy quickly and efficiently, and capture excess power that otherwise might be lost. They are powered by a primary energy source, which in the LIO’s case is an included external DC power supply brick that converts the messy, corrupted AC wall source voltage to 24Vdc, which then in turn provides the necessary DC to charge the UCs. The Maxwell UCs are categorized as “D” type (confusing, right? ), because they have the same diameter as a D-battery. They discharge and recharge very quickly. At first glance inside of this beautifully appointed device, one could easily mistake the 18 individual UCs as rechargeable “D” batteries, but they are not (stay with me, here). They are arranged in two “banks” of nine cells each. They are named “Bank A” and “Bank B”. Did I mention that these are not “D” batteries? Other benefits of the UCs are that they provide higher current output to run LIO’s optional MOSFET speaker amp, which with the use of an adapter, can also drive low efficiency headphones like the HiFiMAN HE-6. Furthermore, and this is huge…there are no inherent memory effects for a lifetime of perfect musical performances. This eliminates any need for battery replacement and the possible need ship the whole unit back and forth to RWA. Vinnie states that this will, once and for all, completely eliminate the biggest concern of rechargeable batteries; “range anxiety” (said with a repeating echo). Gone are the days of worrying about unpreventable battery failure that can cause a delay in your essential daily musical dose. The LIO has many other incredibly unique aspects to it. Please try to stay calm while reading this part of my review, and promise me you will at least try to finish it until completion, before you drop everything and run right out to buy one. Resistance might be futile, but I plead with you to just try. The LIO is fully modular by design. This approach is yet another chapter in the Vinnie Rossi archives of “new and different ideas in approaching alternatively powered audio amplification”. One of the inherent benefits of this distinctive design is that the module approach creates shorter signal paths. By having each module plug into other co-modules, there is no need for long runs of cabling or connectors between components, which can degrade the signal quality. But using this design, you can start off with just what you need in your allotted budget, and then upgrade every so often to eventually getting everything that you need in one complete, self-contained unit. Just require a headphone amp? Simply order a LIO with an HPA module, (with or without the tube stage module add-on), and have a wonderful sounding amp for your headphones that has virtually zero noise floor. You can still add the tube stage later, when you’re ready. Want a high quality DSD and PCM Dac to accompany your HPA? Get it when you order your HPA, or get it when your bosses finally give you that measly bonus they’ve been promising you for years. This dac boasts bit-perfect playback at sampling rates from 44.1KHz to 384KHz (16, 24, or 32 bit compatible). Sample rates are viewable from front panel display. 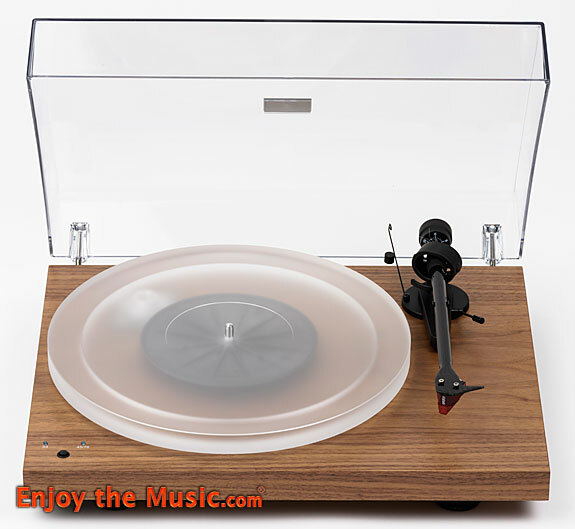 Thinking of finally adding that turntable that you’ve always been dreaming of? No problem, simply purchase the phonostage module that is compatible with either MM or MC, and is fully load adjustable through the use of simple dip switches to set the cartridge loading. It’s finally time to get those highly efficient bookshelf or floor standing speakers you’ve had your heart set on? No need to go out and add yet another box, taking up even more valuable footprint in the already tiny space that your spouse generously doled out to you, to use for your audio pleasures. The 25 wpc high current Mosfet amp will suit you just fine. Bought a standard RVC (resistor stepped volume control) when you first started your LIO journey? As a $1495 upgrade, you can now move up to the upgraded AVC (autoformer volume control). The unit can also be purchased primarily as just a pre-amplifier (inputs and outputs), which can be upgraded down the line. Another available sweet option that I was able to experiment with was, running a harder-to-drive, less efficient headphone like the HiFiMAN HE-6 thru the Class AB Mosfet amp module. Only needing a modified cable that has banana connectors at one end, and a 4-pin balanced Neutrik connector at the other, it can be connected to the amp board’s output speaker taps. The amp suits my bookshelf speakers well, but I have to raise the volume to the top end of its rotation for near-field listening because the Harbeth P3ESRs aren’t efficient at 83.5dB sensitivity. I would like to see a little more gain in the Mosfet amp to suit my current speaker setup. More efficient speaker selections wouldn’t be affected like this. The LIO has the option of turning the Mosfet amp off independently, if you are just using the HPA option. Also, if I had my druthers, I would like to see the HPA drive my HE-6s without needing to undo my speaker cables, but at least the option is there if I need it. The HE-6 is one of the most difficult and demanding headphones to drive on the market. All of these modules are fully customer installable, and Vinnie claims that these are the highest quality, best sounding components that he could source to use in his design. It is no easy task to get all of these different components to play nice-nice in the same sandbox. He did indeed find a way. When I get to in my listening impressions part of the review, I will discuss how he surpassed accomplishing that task in spades! While writing this review, the folks at vinnierossi.com have sent out an email informing their mailing list, that there is a new combination “AVC/Tubestage module” available for anyone who started their journey out purchasing a unit without the better volume control and no tube linestage module. This modular approach has opened the proverbial door to endless abounds, and limitless choices. By the time you read this, the new VR120 dedicated 120w.p.c. speaker amp will have already made its debut at RMAF. Using the LIO chassis as its foundation, he can branch out to all of his new innovations based off of this unique and imaginative ultracapacitor-powered baseline design. Wow…where the heck do I begin? The LIO has so many wonderful usable options, and there’s only 70-90 years in an average audiophile’s lifetime that we can use, to try them all out! Let’s start off with my “computer-as-source” digital audio. Using my Macbook 12” (May 2015), I ran my Dana Digital USB cable (the best of the best) from the computer’s USB port into the LIO’s Asynchronous USB input on its PCM/DSD Dac module. The Dac is a dual-mono design. There is one AKM AK4399 d/a chip per channel. There are 3 digital inputs to choose from on the Dac module’s back panel, assigned D1 thru D3. I used my Esoteric DV50 Universal player, which I am utilizing solely as a dedicated transport, bypassing the internal dac. I assigned it to digital option “D2” through the S/PDIF coaxial connector. I chose option “D3” for my USB input, directly from the Mac into the USB. For headphone listening, I ran my HE1000 headphones outfitted with an upgraded WyWires Platinum single ended cable, into the HPA ¼” port on the front panel. Using Audirvana as my hi-res interface of choice, I started out with one of my favorite reference recordings. Oscar Peterson’s – “We Get Requests”. I used a DSD 64/1-bit/2.8 MHz rendition of “Corcovado”, which sambas right into the listener’s ears and travels directly into the auditor’s heart. Here, we have three tenured musicians expressing themselves as one comprehensive entity. They are jazzin’ and jivin’ in a trio ensemble that enchants and engages. Right from the very first stick clickity-click on Ed Thigpen’s snare drum counterhoop rim, to the very last ivory tickle from Oscar Peterson’s outstretched fingertips. I find that this is a great cut to use for evaluating higher-end components, because the cymbals are properly recorded in a clean binaural layout, with a sparkling clean snap on every clash. I often use it to test a dac and/or an amp’s ability to re-create the potential spatial characteristics and range extension in the upper treble frequencies. The LIO rolls thru this frequency range without exhibiting any glare or graininess. It handles the attack with authority, without sounding too aggressive. On the opposite side of the frequency hill, Ray Brown’s unmistakable bountiful bass lines, are creatively profound going deep down into the bowels of his bass’s belly, and the string reverberations can be heard resonating in life-like realism, as he slithers and slurs, to and fro along his massive fingerboard. Moving away from requiring a Dac to distinguish digital interpretations, it was time to see what benefit that the LIO phonostage module upgrade could provide to my VPI Aries 2 turntable. At the same time, it afforded me an opportunity to also enjoy a near-field listening session, using the LIO Mosfet speaker amp module to drive my Harbeth monitors. I sat equidistantly triangulated from both speakers, approximately 3 feet from my ears and 3 feet from each other. If you’ve never done this, then I recommend that you try it. Using decent quality components, this environment creates an illusion of a third speaker directly in front of you, as you sit immersed in a soundstage that envelopes you in a world of sound that’s different than any other speaker or headphone experience provides. Just as 24-bit hi-res or DSD files can take digital to the next level, so too can 12″/45 RPM/200 gram re-masters enhance your vinyl lifestyle. Cueing up a lifetime favorite 12” 45 of mine, “United Artists of Messidor”, I chose a song by saxophone and clarinet master Paquito D’Rivera, named “Claudia”. When listening to Latin Jazz, the intricate diversity of instruments, including the percussion and horn sections, can make or break whether the audio equipment is doing a proper job. Its job is to rightfully dissect the performance, and place each participant in the soundstage where it was meant to be. I know this album very intimately, and the LIO did not disappoint. I could easily pick out the difference between the timbales and the congas, the vibraphones and the maracas. On lesser equipment, the percussion can get lost in a sea of mixed messages, with multiple instruments riding the coattails of it’s percussion coworkers, not owning a voice of it’s own. But the LIO does a good job of dichotomizing the different personalities, giving each a chance to strut their own persona. The phonostage module panel accepts 2 different moving coil and 1 moving magnet inputs, offering the user the ability to setup more that one turntable at a time, or a TT with 2 different arms. The MM setting is pre-configured for 47K and there are two MC load settings that the LIO holds in memory once configured. Good stuff. Using the Esoteric as my second digital input, I regress back to the days of the dinosaurs, and loaded some of my favorite reference “vintage” CD physical media. Jaco Pastorius was one of Jazz’s most talented bass players in the 1970’s and 80’s. He passed at age 35, but not before leaving behind a resume of intricately complex, alternative-style bass recordings. His Big Band-style album “Word of Mouth” is a deep well of tenured and talented musicians, known the world over. Artists like Victor Bailey, Christen McBride, and Victor Bailey, showcased their technical expertise while sharing the stage with Jaco, combining to create a fast-paced, byzantine array of musical energy so expedient, so complicated, that most dacs and amplifiers have a hard time keeping up with the pace, rhythm and timing (PRat). There were moments that I thought the LIO was going to lose the lock that it had on the performance. But it hung in there, and stayed true to the course. I’ve heard a few amplifiers take on the task slightly more assuredly, but to be fair, they were five times the cost of the dedicated HPA and dac modules combined. Each of the independent modules provided excellent performance in their own right, and do indeed play quite nicely with the other big boys in the sandbox. The Vinnie Rossi LIO is very easy to recommend. It is a feature-rich, high performance audio component. From the bare bones minimum pre-amp, to the all out LIO Deluxe, the LIO offers what other companies could only aspire to claim. If you factor in the cost savings incurred, by not having to purchase high quality interconnects and power cords to connect and power multiple components that accomplish all of the tasks that the LIO performs, that money can be better spent on upgrading your LIO. It is a soup to nuts, complex audio metropolis, which has versatility, style, and gran panache. Oh, and by the way, it plays music pretty well, too!